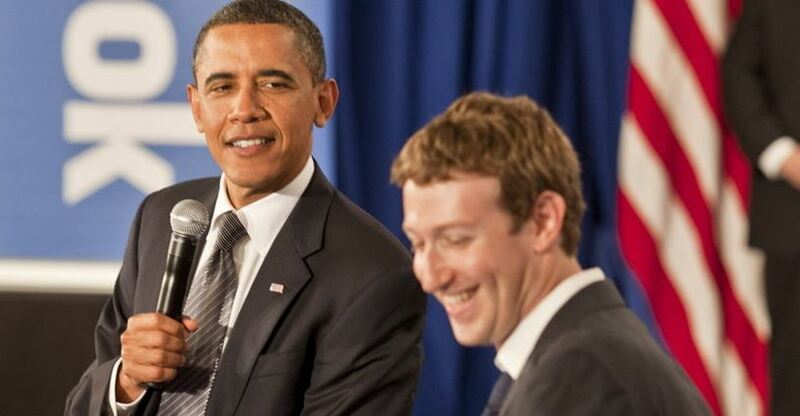 President Obama smiles with Facebook founder and CEO Mark Zuckerberg (the 3rd richest man in the world). An Obama campaign media director tweeted on Sunday that Facebook was “on our side” during President Obama’s reelection bid. 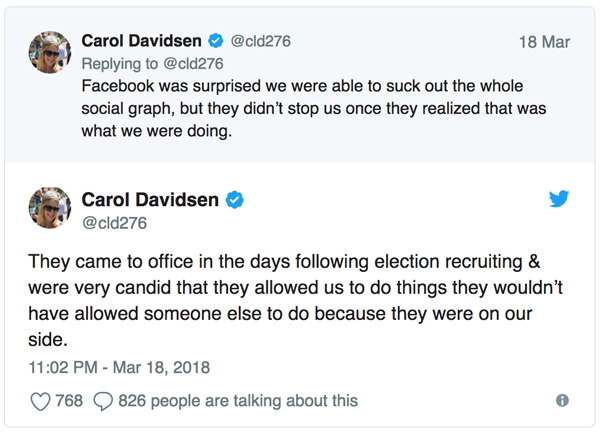 “They came to office in the days following election recruiting & were very candid that they allowed us to do things they wouldn’t have allowed someone else to do because they were on our side,” Carol Davidsen, director of data integration and media analytics for Obama for America, tweeted Sunday. Davidsen said Facebook allowed her team to gather massive amounts of personal information from its users and their friends because they were supportive of the Obama campaign. Many Americans get news from Facebook. A May 2016 Pew survey found that a majority of US adults—62%—get news on social media, with 66% percent of Facebook users surveyed saying that they get news from the platform. Facebook, with close to 1.8 billion monthly active users, wants to be seen as neutral. “We are a tech company, not a media company,” CEO Mark Zuckerberg said in 2016. What is your reaction to this Obama campaign director’s statement that Facebook was “on our side” during President Obama’s reelection bid?